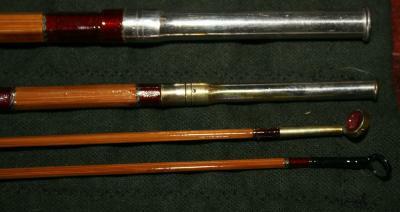 Vintage 9' unmarked bamboo rod. Possible Montague? 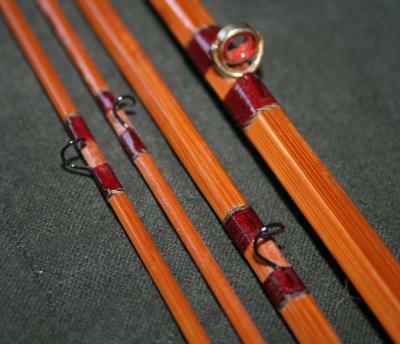 3pc 2 tips, all full length. Rod was refinished at some point, leaving a previous owners name under the older, dark varnish. One agatine tip top was replaced with a Perfection tip top, otherwise looks all original.